Brookline is a town in Norfolk County, and is a part of Greater Boston. Once part of Algonquian territory, Brookline was first settled in 1638 as a hamlet of Boston, but was incorporated as a separate town in 1705. With a population of 58,732, Brookline borders six of Boston's neighborhoods:Brighton, Allston, Fenway-Kenmore, Mission Hill, Jamaica Plain, and West Roxburywith the city of Newton lying to the west. 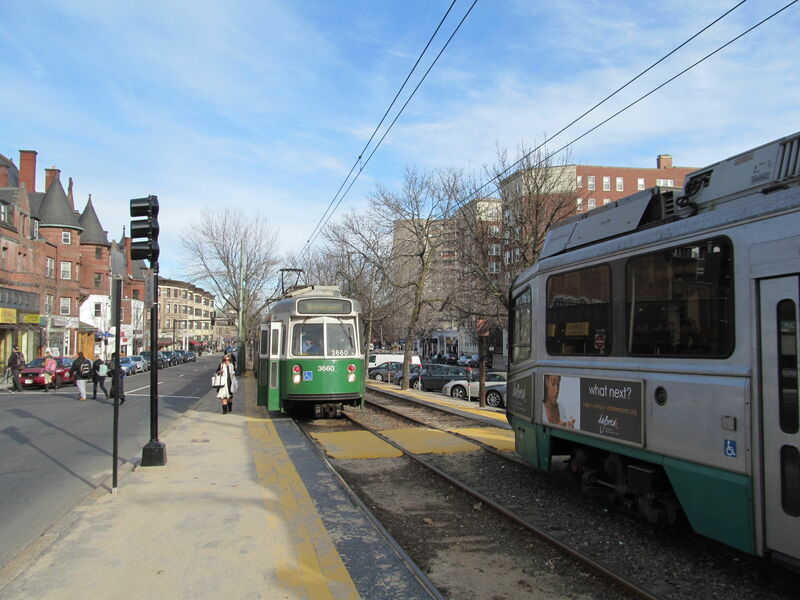 Much of Brookline was developed into a streetcar suburb, with large brick apartment buildings sprouting up along the new streetcar lines. Coolidge Corner, which is located at the crossing of Beacon Street and Harvard Street, is one of Brookline's two primary retail districts (the other being Brookline Village). 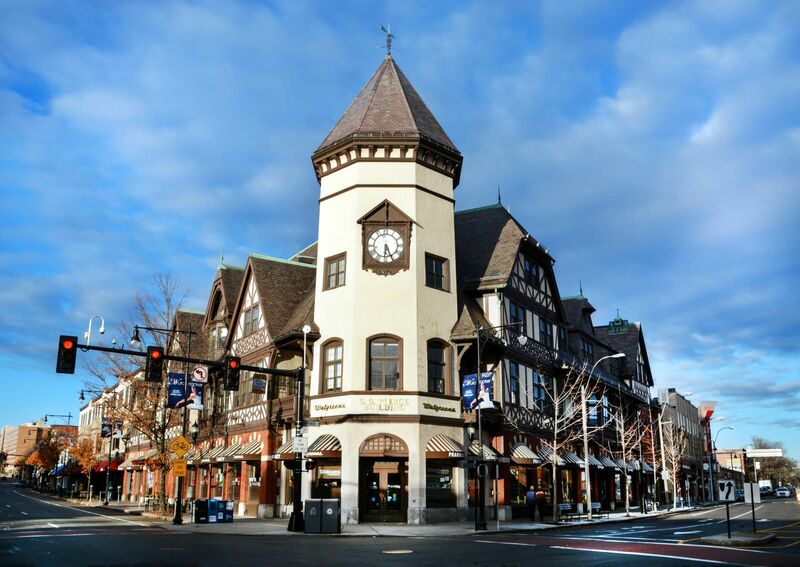 It includes a number of historically significant sites, including the S.S. Pierce Building (now occupied by a Walgreens), and the Coolidge Corner Theatre. There were two stops on the Underground Railroad in Brookline: 9 Toxteth Street and 182 Walnut Street. The Country Club, an exclusive sporting club in the town, was the first private club in the United States formed exclusively for outdoor activities. It is most famous as a golf club; it was one of the five clubs that formed what is now the United States Golf Association and has hosted the U.S. Open three times and the Ryder Cup Matches once. "Fairsted", the 100-year-old business headquarters and design office for renowned landscape architect Frederick Law Olmsted and the Olmsted Brothers firm, has been carefully preserved as the Frederick Law Olmsted National Historic Site, on 7 acres (2.8 ha) of landscaped grounds at 99 Warren Street. Brookline is home to part of Frederick Law Olmsted's Emerald Necklace of park systems, including Olmsted Park. Larz Anderson Park is in Brookline on the 64-acre (26 ha) estate once owned byLarz Anderson and Isabel Weld Perkins. The park contains the Larz Anderson Auto Museum, the oldest automobile collection in the country, as well as Putterham School, a one-room schoolhouse from colonial times. The birthplace of John F. Kennedy stands in Brookline and is listed in the National Register of Historic Places. It is maintained by the National Park Service and is open to the public from May through September. St. Aidan's Church was where John F. Kennedy was baptized and where the Kennedy family and other prominent Irish-Americans were parishioners. The church was designed by architect Charles Maginnis, who was awarded the American Institute of Architects' gold medal. Though it is on the National Register of Historic Places, St. Aidan's Church has been closed and converted into housing. The Puppet Showplace Theatre, one of the four oldest puppet theatres in the United States, is located in Brookline Village. The Dutch House, one of only five surviving buildings from the World's Columbian Exposition of 1893 was relocated to Brookline. John Goddard House, an historic house at 235 Goddard Avenue, was built in 1767 and added to the National Register of Historic Places in 1985. Updated: 26th April, 2019 8:23 AM.